with potatoes and wobbly mutton. Tayi Tibble (Te Whānau ā Apanui/Ngāti Porou) completed her MA in Creative Writing at the International Institute of Modern Lettters in 2017, where she was awarded the Adam Foundation Prize. She currently lives in Wellington. Her debut collection, Poūkahangatus, has already and understandably attracted widespread media attention. The poetry is utterly agile on the beam of its making; and take ‘beam’ as you will. There is brightness, daring and sure-footedness. The poems move in distinctive directions: drawing whanau close, respecting a matrilineal bloodline (I adore this! ), delving into the dark and reaping the light, cultural time-travelling, with baroque detail and sinewy gaps. The collection charts the engagement of a young, strong woman with her worlds and words – and the poetic interplay, the sheer joy and magnetism of the writing, is addictive. Tayi and I embarked on a slowly unfolding email conversation over the past month. Paula: I am always curious about the books that shaped us when we were children. What did you read as a child? Did you read poetry? Tayi: As a child I read all sorts but particularly fantasy and young adult fiction. I remember reading a lot of dragon books like Eragon, The Hobbit, The Dragon Riders of Pern, The Narnia Chronicles etc. I also read the hell out of The Jacqueline Wilson books, especially The Girls in Love series. I loved The Sisterhood of The Travelling Pants books and this series called The It Girl Novels, written by ‎Cecily von Ziegesar, who also wrote Gossip Girl. My grandparents also had this collection of, I think they were Reader Digest condensed classic books or something? There was like four titles in one book, all hardback with foiled damask prints on the cover. So I’d read bits of The Grapes of Wrath, Huckleberry Finn, Wuthering Heights etc. I also remember being aware that I read a lot of tabloid magazines a kid, because my Nana would buy all three; Woman’s Day, Women’s Weekly, and New Idea every week. Poetry I came to in my preteens and early teens. The intermediate that I went to had really great diverse teachers who taught us Hone Tuwhare, and Apirana Taylor poems, and made us write our own. When I started high school was when I started reading poetry; Carol Ann Duffy, Sylvia Plath, Allen Ginsberg, and then also like, Robert Frost, Shakespeare’s Sonnets, Tennyson, Lord Byron which we had to do for English, but I was into it. Paula: Ha! I remember reading classics like that on my relation’s bookshelves in the summer holidays. It was like I had a child’s understanding of the Brontë sisters, then years later that of an adult! What poetry books have affected you in different ways in the last few years? Sometimes you meet the right book at just the right time, with all kinds of reactions. Tayi: I discovered a lot of great writers during my MA year, last year. I got heavily into Kaveh Akbar, an American-Iranian poet and his chapbook Portrait of an Alcoholic and then Calling a Wolf a Wolf. I also read Claudia Rankine’s Citizen, and that was a whole big thing for me, and gave me a sense of permission. Teaching My Mother How to Give Birth by Warsan Shire, both stunned and influenced me greatly. She writes about family, dysfunction, race and religion, with lush imagery – often grounded in the body and always people oriented. I also discovered Cate Marvin, who I think is really brilliant. Her poetry is feminine and feminist and so bold and funny. I especially love her books Fragment of the Head of a Queen Head and Oracle. I think Harmony Holiday is the poet I adore the most. I think her poetry is very stylish. She writes mostly prose-poetry, combining the politics of being black in America with celebrity and pop culture. I think her book Hollywood Forever, is just the coolest thing ever. And in New Zealand, Courtney Sina Meredith’s Brown Girls In Bright Red Lipstick had a big impact on me. I first discovered her work at Litcrawl in 2015. She was reading from it and I was in the audience wearing a bright red dress and matching bright red lipstick and as she was reading the title poem I felt both entirely seen and see-through. I had similar experiences reading This Paper Boat by Gregory Kan and Chris Tse’s How to Be Dead in a Year of Snakes and He’s So Masc too. Tusiata Avia’s Fale Aitu became a real touchstone text for me too. Reading her poem, White Sunday, always makes my chest tighten, but it always helps me to kind of, get out of my own way and re-align my writing intentions. This might be passé, but that books that affect me the most are the ones that make me feel personally liberated, and inspires a sense of bravery or urgency on the page. Paula: Oh how spooky I was just sitting here gazing at the wind in the manuka imaging organising a poetry reading in Wellington and I was musing upon Chris, Greg and Tusiata (with a few others!) because their poetry electrifies every bit of me: heart, mind, skin, blood. I agree with you. It does come down to bravery and urgency because, and here I am also anxious I sound clichéd, I am drawn to poetry that matters. That makes the world and people and ideas and feelings and the music of words matter. You dedicate your debut collection to your mother. I am moved by this. What prompted this dedication? Tayi: That line up would be incredible. Yeah, I love poetry that gives me physical sensations, when words ring in the body—a transfer of energy. Dedicating the book to my mum was such an obvious decision; I can hardly give words to it. On one hand the presence of maternal figures is very prominent in the book, so dedicating the book to my mum made sense thematically, but also rather simply, a dedication is a thank you, and there’s no one I am more thankful for, then my Mum. I did debate whether it should read ‘For Adrienne’ instead, but I also liked the idea that maybe, someone somewhere might give the book to their mum. Then the book can be for them too, which is pretty geeky, but still nice, I think. Paula: Yes I liked ‘for Mum’ for the same reasons and the way it was a perfect gateway into the women in the book. I treasure this book for its kaleidoscopic female relations and views of women. Was this a strengthening thing to do? To make women the vital overcurrents and undercurrents of the collection? but I have always wished she was. and heavy wet eyes just like my sister. Tayi: It was definitely strengthening to do. That’s a really good way to put it. Once I let the women take over, the writing really flowed and I knew pretty early on, that I might be making something quite cool. Having the different generations of women was also a good way to get away from ‘myself’ and prevent the work from becoming super me-centric, while simultaneously supporting my own experiences haha. During the process of writing and imagining the experiences of Māori women in different points in history, I felt as though my own experiences were legitimised, contextualised even. I think their inclusion elevated the kind of storytelling that I wanted to do. I think their inclusion made the themes of colonialism, inequality, intergenerational trauma that I seemed to be circling, feel more integral to work, and also robust. I guess including these maternal figures also just kind of gave me a bit of company and confidence on the page. It felt important to me, and that gave me a lot of drive and motivation. Paula: So much poetry by Māori women is invisible – there is a history of groundbreaking Māori women poets that is not easy to access. That your collection shines a light on your whakapapa, and that te reo is a vital beam on the line, matters. Does this feel personal or political or a mix of both? Smile at the wives who refuse to kiss their ghost-pink cheeks. Order dessert like pecan pie but never eat it. Eat two pieces of white bread in the kitchen with the light off. Slip into an apricot nylon nightgown freshly ordered off the catalogue. Keep quiet with their husbands’ blue-veined arms corseting their waists. Remember the appointment they made to get their hair fixed on Lambton Quay. Think about drowning themselves in the bathtub instead. Resurface with clean skin, then rinse and repeat. Tayi: It’s definitely both, and largely for the simple fact that politics are personal to me. I’ve experienced politics my whole life. My body, my skin, my hair are all politicised and I can’t divorce myself from that. I don’t want to divorce myself from that either. And the politics wouldn’t be effective at all if they weren’t rooted in the body, in the people, in the day to day experiences and interactions. I think the place where the personal and politics meet is the perfect place for poetry. I think that’s where language can get really interesting. I can’t really tell if poetry by Māori women is invisible – certainly disproportionately underrepresented in publishing. But I have always actively looked for it, been brought up around it and sought it out for myself, so it’s visible to me. I have also been lucky, for example, to have had Hinemoana Baker for my course-convenor during my undergrad poetry course at the IIML. I also took this really amazing history paper convened by Airini Loader about the history of Māori literacy and you’re right, the history of Māori female poets is astounding and so interesting! I know not everyone has access to education, but I do think that anything can be accessed if you actually want to look. So I don’t know if Māori Female poetry is invisible, but maybe people are wilfully blind, and keep their eyes shut. Paula: I guess I am talking about poets in the 60s and 70s and a time when men hogged the limelight. And when I looked in Puna Wai Kōrero: An anthology of Māori poetry in English, edited by Robert Sullivan and Reina Whatiri, there are great women poets who I would just love to read more from. Jacq Carter for example. Ah so much to say about this! I love the kaleidoscopic effect of your book; the way it is edgy and dark and full of light. The way it catches living from popular culture to family relations, the way it carries sharp ideas and equally sharp feelings. Do you have any writing taboos? Do you prefer to disguise autobiography or are you happy to get personal? released. Have you ever heard a wolf cry to the blue corn moon? Mum has. Smith to England and got a disease and died. Representation is important. Tayi: Well, that’s interesting because I’m more reserved than people might think, but I’m also of a generation who grew up oversharing on the internet everyday so I quite often have conflicting feelings about the autobiography in this book lol! There is definitely material in this book that’s sensitive, and I have spent some time worrying about its implications and what assumptions people might make about me. But I also think that self-consciousness can be pretentious and also, yolo who cares it’s not that deep. So I wouldn’t say that I’m necessarily happy to get personal, but I’m definitely prepared to. This is going to sound really intense but I’d go pretty far and pretty hard for a poem if the poem demands it. I also think I’m properly a really good writer. I trust my taste and my ability to walk a fine line. I trust that I have my own back, and that on a subconscious level, I know what I’m doing. And it’s not like I’m just blabbing about my whole boring life on the page. It might only be a moment that’s autobiographical. I wouldn’t say I disguise the autobiography, but I manipulate it for the poem, and then the poem has its own life and I don’t have to feel so caught up about it. In terms of writing taboos, my morals are pretty neutral tbh and I don’t even know what a taboo is. I’m pretty curious about a lot of awful things and I’m super non-judgemental. I think I’d probably be a better person if I was a little more judgemental so I’ll work on that, but I passionately hate self-righteousness. I have a strong distaste for crudeness, like toilet humour and gratuitous violence, but that’s more taste than principles. I do try my best to be ethical when writing about other people or shared experiences and I try to go about it in most respectful way I can. I’d never publish anything that was written from a place of ill-intention because that’s not the vibe I’m trying to throw out into the world. Chris Price said close attention is an act of love, and poetry is all about close attention so I think about that all the time, and use that as my sort of measuring stick. Paula: I love attentiveness in poetry and often reference it in reviews: attentiveness to small details, or the way a poem sounds, or movement, revelation/non-revelation, humanity. Books that both catch and hold you and demand attention. I also like the traffic between attention and an act of love. Interesting. I guess that is happening as I read your book – the poems snag me and demand attention! In an interview you were asked to pick a favourite poem. Tough! Sometimes though the stars align in a poem and it just feels right. The one where lightning strikes. Did you feel that with any? Sometimes a poem hides in the shadows but has intense meaning for the poet. Or was a struggle to get down. Can you share a couple of quite different relationships you have with poems in the collection? Tayi: My favourite poem is the title poem, ‘Poūkahangatus’. I wrote it as an exercise very early on during my MA year. I thought it was cool and my class was very receptive. It was also my first time experimenting with a different form. Previously I had been writing very concentrated, small poems. I discovered that I loved writing in the longer lines and I got really into prose poetry after that. I didn’t know it at the time, but now I think that essay really changed the direction of my writing. One of the last decisions I made in the manuscript before hand-in, was moving the essay to the front of the book and that really elevated the collection in my opinion. I thought it just perfectly touched on all the themes I was interested in. It acts almost like a foreword. And I still think it’s really fresh even though it’s probably the oldest poem in the book. back with a blunt pair of orange-handled scissors. Remember the resistance. My other favourite poems are Vampires versus Werewolves and Red Blooded Males, just because I think I got the words right. They satisfy me. I also really love Hoki Mai and In the 1960s an Influx of Māori Women because I think they’re beautiful and in service to something bigger than myself. I also adore Black Velvet Mini, LBD and Pania, they’re stylish. Ode to Johnsonville’s Cindy Crawford, I think is really good because it’s so in my own voice, but so much so that it’s almost makes me cringe, like hearing yourself on recording. at her teen daughter’s party. So she gives up the Bible verses. Shame was the hardest poem to get on the page and I wanted to cut it quite often because I kept thinking it felt unfinished until I realized that it was just discomfort I was feeling. It’s an uncomfortable poem, but that’s its intended effect. Shame has to feel insidious, and lingering and unfinished because that’s what shame is like. Receipt is maybe the poem that’s lowkey in the book, but means a lot to me personally. I love the energy, the humour and bizarreness of it. I had a relationship that for a long time afterwards, really annoyed me, but I didn’t know how to articulate it until I wrote this poem and was able to kind of just channel these frustrations about power dynamics and money into this one weird item, the rose-gold bathtub, and then it was funny. I love it’s placement in the book, towards the end. I think it lifts the book a little. I actually dislike the word sassy, but it’s got that kind of energy. To me it’s very much feels like a reclamation and a refusal. It’s the exact opposite of holding your breath or holding your tongue. I’m fond of its tone. It’s a little obnoxious. It’s a little wicked. Paula: Thanks Tayi. I have loved our unfolding conversation. I want to finish with a section from a sequence I loved because in being so surely placed within a scene, a story, I felt the world. And who wants to be immune or numb? The gorgeously paced detail pricked my skin. After that, as a sweet postscript, I am sharing Hinemoana Baker’s fabulous blurb on the back cover. As with Sam Duckor-Jones, I feel like I could reflect on poetry and your book with you for weeks! It is a book of glorious returns. bathroom and help him wash his hands again, just to be sure. This entry was posted in NZ poems, NZ poetry, NZ poetry book, NZ poetry interview, Uncategorized and tagged NZ poetry interview, POetry Shelf interview, tayi tibble, Victoria University Press on July 20, 2018 by Paula Green. Congratulations on your short-list placing! What poetry books have you read in the past year? My favourite NZ books in 2017 were Stu Bagby’s Pockets of Warmth (Antediluvian Press) and John Gibb’s Waking by a River of Light (Cold Hub Press). Recent publication of their respective collected poems has sent me back volume by volume through Galway Kinnell and A. R. Ammons, admired late US poets. Also a delight to have Alistair Te Ariki Campbell’s Collected Poems – VUP’s finest ever publication! What other reading attracts you? Very interested lately in female North American long-form poets, specifically Rachel Blau du Plessis, Beverly Dahlen, Daphne Marlatt and Eleni Sikelianos. I read a lot of European and Asian fiction in translation. Non-fiction usually includes Victorian and ancient history. Name some key starting points (or themes) for your collection. Finding myself unexpectedly between teaching engagements and having to re-think my assumed identity. The New Pacific Studio fellowship in late 2011, when I was encouraged to be creatively selfish. Since then I seem to have established a modus operandi that keeps me writing whatever else is going on. Did anything surprise you as the poems came into being? There was a strong awareness that these were some of the poems I had waited a long time to be able to write. Find up to 5 individual words that pitch your book to a reader. Right here now and always. Which poem particularly falls into place for you? ‘Li Bai’ focuses many of the concerns in the book about environment, identity, time, culture and memory, etc. ‘The characters’ probably does the same in a more succinct, oblique manner. I suppose my basic allegiance is to poetry. What matters most when you write a poem? I want to tell the truth and communicate with others. The work is more important than I am. What do you loathe in poetry? Where do you like to write poems? What are strengths and lacks in our poetry scenes? Strengths: the new work appearing from younger poets, inventing the future and guaranteeing there will be one; growing bilingual and multilingual awareness has enriched our Pacific possibilities and commands response. Both factors indicate our unique position and opportunities in the Anglosphere. Have you seen a festival poetry session (anywhere) that has blown you off your seat (or had some other significant impact)? If you could curate a dream poetry session at The Auckland Writers Festival which poets would be there and who would mc or chair it? NZ now: Airini Beautrais, Sarah Jane Barnett, David Howard and Erik Kennedy, MC’d by Stu Bagby. For all time: Tomas Tranströmer, Charles Olson, Lauris Edmond and C. P. Cavafy, chaired by William Carlos Williams. This entry was posted in NZ author, NZ poetry interview, Uncategorized and tagged NZ poetry interview, Ockham NZ book Awards, Tony Beyer on March 20, 2018 by Paula Green. 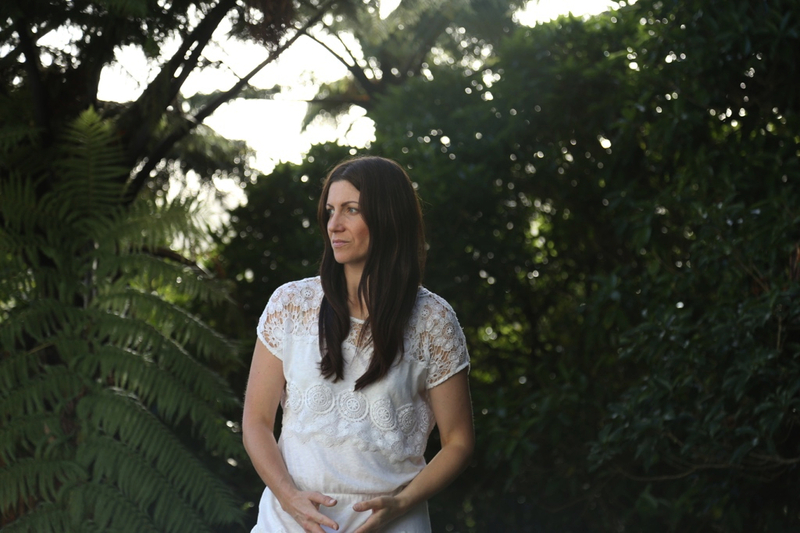 Mary McCallum of Mākaro Press interviews debut poet Jamie Trower about his collection Anatomy, which they published under their Submarine imprint in 2015. Mary McCallum: As a new poetry publisher we get a lot of emails from people wanting to submit their collections of poetry. Some of those emails are like explosive devices — as soon as you open them you know you’re in danger. All the tiny words on the screen shimmer with the excitement of being written by someone for whom words are not simply tools or exciting ways to evoke the world of experience or imagination, but tiny rockets that have changed or saved a life. This was the case when I opened an email from Aucklander Jamie Trower – a young man in his early twenties who had only just discovered poetry, but who had nonetheless crafted a whole collection that he wanted me to read. A collection of poems that charted his recovery from a terrible childhood brain injury that could have killed him. What a ride. It felt to me reading Anatomy for the first time – and I continue to feel this – that Jamie had given himself permission to write how he wanted to write, and discover what he wanted to discover using words in a way that he’d never thought possible. With obvious delight he raged on the page, and laughed at and interrogated it. Words came and he connected them and lit the fuse. Which is not to say Jamie wasn’t open to editing. He was. He loved the whole process … more of a chance to play with words, more connections to fire. We published it, dear reader, and this week I talked to Jamie about the book so close to his heart – how he wrote it and why, and where to now. M: What made you start to write poetry? J: In the months of rehab after I sustained a severe brain injury as a nine-year-old, I learned to use a typewriter. I wrote sporadic, jumbled notes of how I was feeling and the changes I noticed in my wheelchair-bound body. I really started writing poetry after taking a creative writing course at the University of Auckland two years ago. It was then that I went back to the notes that I wrote in rehab and found myself expanding and stretching the words into poetry. M: What do you like about it? J: The beauty and ease of poetry. How a single moment can be expanded on, heightened, strengthened, transformed, stretched, redefined and moulded in a couple of lines. How a writer can adapt a thought, a feeling or an event so easily through compressed, rhythmic language. M: Who are your poetry heroes? Are there any poets you try and emulate? J: I am in awe of Sam Hunt, Paul Muldoon, Ben Okri – the list goes on! I think their writings are compelling and eloquently formed. I draw on their poetry quite a bit – how they use simple thoughts and words to create a big impact. M: Your poetry collection feels like one long narrative poem about what you went through when you had a brain injury as a child – rather than lots of separate poems – do you see it that way? J: Anatomy is definitely narrative in its structure: a start, middle and end. I tried to separate the poetic canvas by titling the poems – making it feel like more of a collection rather than a narrative – and pairing it with a traditional form of storytelling. I decided in the editing process to parallel poetry with prose to guide the reader, and to allow the emotion I felt to show through more. M: In Anatomy you indicate the typewriter was an important tool in your rehab – is poetry also important as a form of therapy in getting over what happened to you? J: Poetry will always be my rehab, my therapy, my hospital, my home. This use of self-expression and self-examination helped me (and still does) realise that I needed to take control of my own body, my own disability. I hope to continue to use the lessons that poetry has taught me for many years to come. M: What are you writing now? J: I’m writing my next poetry collection, and I’m brainstorming a novel on the side. I’m excited to see what comes of it! M: Who are you reading? J: Right now I’m reading Michele Leggott’s Heartland (for the tenth time, it feels). She very kindly came to the launch of Anatomy, which was very, very cool. This entry was posted in NZ author, NZ poetry, NZ poetry book, Uncategorized and tagged Jamie Trower, Makaro Press, NZ poetry interview on February 5, 2016 by Paula Green. 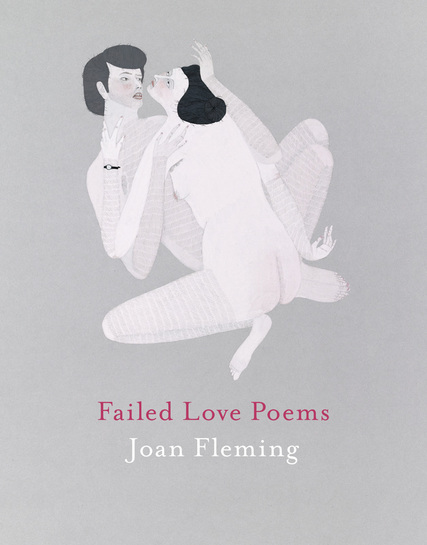 Victoria University Press has just published Joan Fleming’s second poetry collection: Failed Love Poems, a book in which I found so much to admire. 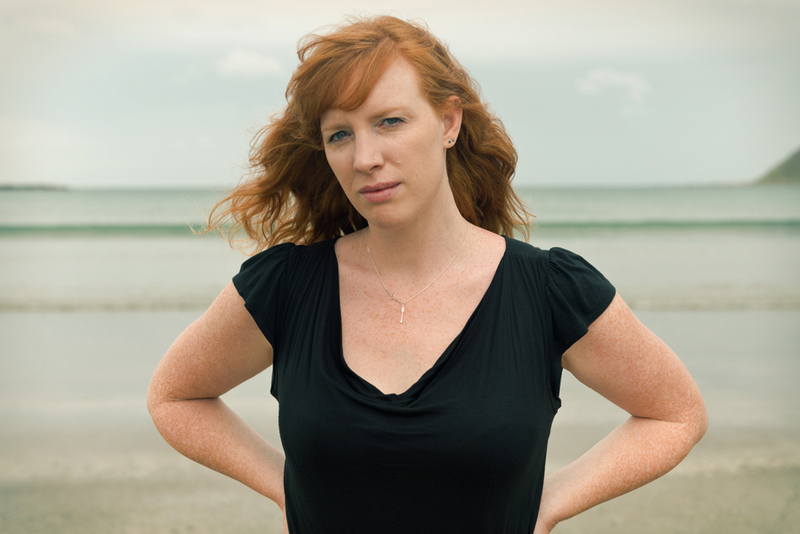 Joan graduated with an MA in Creative Writing at IIML, where she was awarded the Biggs Prize in 2007. She is currently working on a Doctorate in ethnopoetics at Monash University in Melbourne. Her debut poetry collection, The Same as Yes was published by Victoria University Press in 2011. Along with Anna Jaquiery, Joan recently edited Verge 2015, a literary journal from Monash University. It is a terrific issue – I reviewed and highly recommended it here. To celebrate the arrival of her new collection, Joan agreed to be interviewed. I read constantly as a kid and kept journals. Shel Silverstein, fantasy YA novels with animal characters, kid romances, and a collection of ‘morality’ storybooks with titles like Courage: the Helen Keller story are what I remember reading and re-reading. I had an imaginary friend named Becky, and I think I was a bit fey, always off with the pixies or tucked into a corner, praying under my umbrella. But I was a performer, too. I would do anything goofy, just to be looked at. I was an easy child, but a strange one. I wonder if you can see that in my poems now. When you started writing poems, were there any poets in particular that you were drawn to (poems/poets as surrogate mentors)? The poems that carved early grooves in my mind were often lived or shared, somehow. I would memorise poems and recite them to my own head as I walked through Wellington. Paul Muldoon’s “Wind and Tree” is now inextricably Kelburn; Hopkins’ “The Windhover” is Lambton Quay. I discovered Anne Carson and wanted to inscribe everything she’d written on the inside of my body. I carried her “Town” poems with me, like “Town of Uneven Love”: “If he had loved me he would have seen me. / At an upstairs window brow beating against the glass.” See how you can walk yourself deeper and deeper into that poem?! I have an intense memory of drunkenly reading sections of Howl aloud to a living room of people, not all of them friends, and then going out into the alleyway behind the house to cry. Music had a similar effect. The poetry of Radiohead and Bonnie Prince Billy can still bring me to my knees. For me, it was about rhythm, emotion, suggestion. And poetry having palpable effect, an effect you couldn’t escape, even if you wanted to. I love the way your poems refresh the page. There is an elasticity of grammar, a tilt of perspective, dazzling connections and disconnections, an originality that furnishes a distinctive voice. What are some key things for you when you write a poem? My only rule is to write from the gut, not from the head. I know when I’m writing from the head. What happens is this flat, crass, nasal voice squats in my frontal lobe and won’t shut up, saying, “this is what a poem should do.” When I’m writing from the gut, there are no directives. Only sensation, surprise, connection, music, and feeling. It takes a lot of time and a lot of reading to get the gut working, but it’s the only way. I adore the inventive syntax at work in your poems; a syntax that replays ambiguity and honeyed fluency all in one breath. Are there any other poets that have fed your syntactical inventiveness? Anne Carson and Gertrude Stein are heroes of odd syntax for me. Jerome Rothenberg’s pseudo-translations of ritual poetries have also been influencing my practices of fragment and invention. Deletion and erasure is a potent device (so apt for revelations and concealments when it comes to matters of the heart). Whereas Mary Ruefle whites out part of a poem in order to create something new, you have used bold black as an erasure tool. It steps away from a thing of aesthetic beauty as we witness on Mary’s page to something far harder hitting. Like a gut kick. Can you talk a little bit about notions of erasure in this collection? Do they hit hard? That’s good. A couple of the blacked-out poems are angry ones. Erasure turned out to be a way of protecting certain subjects and lending torque to poems that gave too much away. The act of erasure also feels thematic – we perform conscious or unconscious erasures on our memories of love. We select moments and lenses; we tell ourselves a story, that casts the beloved in golden or bitter light. Blackout was a way of enacting that selectivity of the mind – the mind’s failure to tell itself the whole truth about love. ‘Things’ are palpable. They send you on a goose-bump trail such as with paper or sugar or biscuits. At the start of ‘First loss’: ‘When we met, all the songs were about loss,/ all the television shows contained it,/ it was in everything, like sugar.’ And then a little later: ‘your eyes gone hurt and biscuity with broken/ light and hunger.’ What do you want things to do in your poems? Sometimes I want things to be persons. To have personhood, agency, worldview. Or be receptacles for emotional energies that can’t possibly be named. At the heart of the book – love. Like a word repeated to the point it is drained of meaning and vitality, love can be elusive. Reading the poems love felt like a human glue. To know love is to have lost love, could that be true? To lose love, is to know love. To have lost love is to invent love, could that be so? What discoveries did you make as you wrote? Or is this only to be discovered as you live? There is one monstrously important relationship whose aftermath I put to rest in these poems. There are still poems in the book I can’t re-read without getting choked up. I know confessional poetry is unfashionable, but candid, passionate, stirring writing is what I am always looking for. Those are the poems I value. That particular relationship was a ‘failure’ according to the standard narrative. We were together for years, but we didn’t marry, we didn’t have children, it didn’t end when one of us died. But it’s impossible to call it a failed relationship. It was a success. It didn’t last, but in the end (the last sequence in the book is named as much, “The End,”), it made us both larger and more capable of giving and receiving love. I loved the proseness of the poetry/ the poetry of the prose. Would you write a novella or a novel? I tried to write a novel a couple of years ago, but it was a dreadful, a plot-less, cringingly autobiographical mess. I’ve entertained the idea of writing a pulp novel about non-monogamy, Confessions of a Call Girl–style (surely it would be a bestseller!? ), or a historical novel about my grandparents’ time as missionaries in Central Australia. Though I worry about becoming one of those writers who dilutes her craft by spreading it too thinly. Fiction is an art form I have huge admiration for, but I’m a total novice at it until further notice! You recently spent time in the Outback. How did that vastness and colour infiltrate your writing? Yes! Absolutely it has. That time helped strengthen my intuition. Weeks on end in the desert will do strange things to your body-perceptions. The land starts to talk to you, and you can’t help but listen, because it is working on your moods and your dreams. 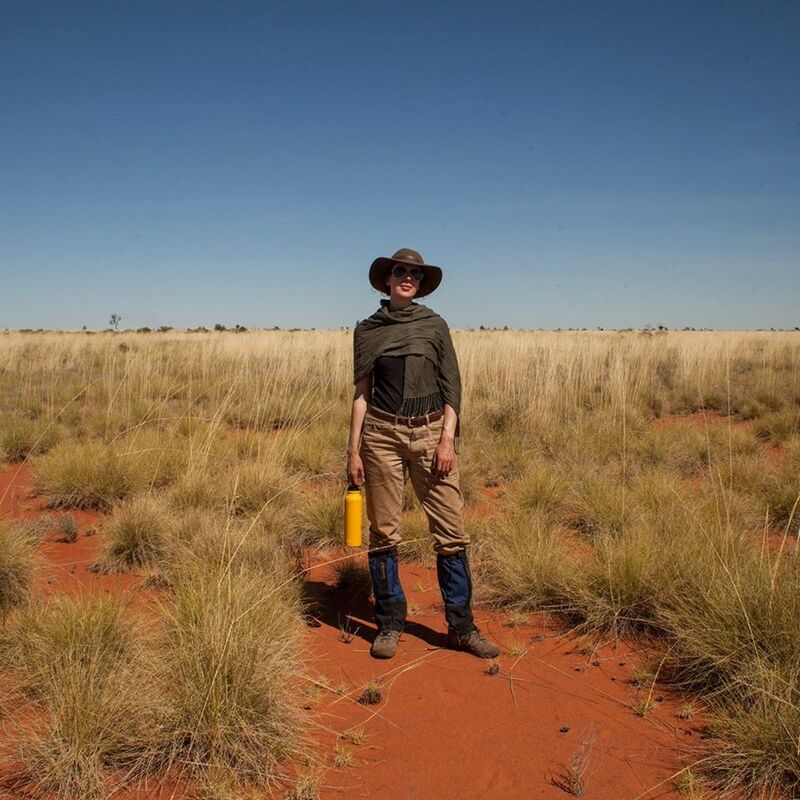 I’m writing about that time in the Outback now. About my relationships with Yapa (Aboriginal) friends and worldview. I suppose the full effect of that desert-infiltration will show itself in time. What New Zealand poets are you drawn to now? Some of the New Zealand poets I’m most excited about haven’t even published full collections yet: Hera Lindsay Bird, Loveday Why, Nina Powles, Lee Posna, Bill Nelson, Emma Barnes, and Sugar Magnolia Wilson. I also want to read everything written by Ashleigh Young, Sarah Jane Barnett, Rachel O’Neill, and Zarah Butcher-McGunnigle. It’s the next generation I’m most drawn to, though poets Jenny Bornholdt and Dinah Hawken still loom large. 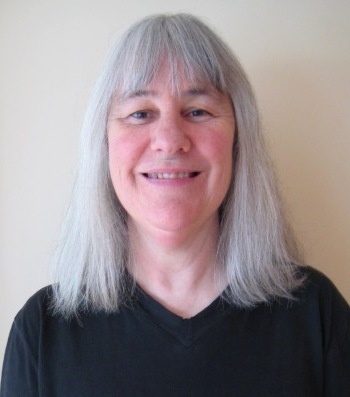 This entry was posted in NZ author, NZ poetry, NZ poetry book, NZ Poets, Uncategorized and tagged Joan Fleming, NZ poetry interview, VUP on September 11, 2015 by Paula Green. Kerrin P Sharpe lives in Christchurch where she teaches Creative Writing in schools and at The Hagley Writers’ Institute. 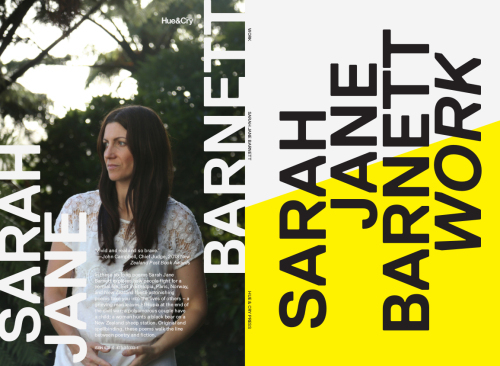 In 2008 she was awarded The New Zealand Post Creative Writing Teacher’s Award from the Institute of Modern Letters. She was a student in Bill Manhire’s original writing composition class at Victoria University in 1976. Last year, Victoria University Press launched There’s A Medical Name for This. Her previous collection with VUP was entitled Three Days in a Wishing Well (2012). I gave her latest poetry collection a glowing review earlier this year (link below) — it was one of my standout poetry reads of 2014. As a child I was raised on a rich diet of fairy tales and Enid Blyton stories. I loved Noddy and Big Ears and the stories of the Far Away Tree which my father read to me at bed time. I wrote stories and won a few competitions at school. What else did I do? Like most children I loved riding my bike and helping my brothers build treehouses. At Wellington Teachers’ College (as it was then) and at Victoria University I discovered the poetry of Sam Hunt, Gary McCormack and Bill Manhire and they introduced me to a whole new world of words and images that I loved. I was fortunate to be taught at Victoria by Bill Manhire: it was he in the end who was responsible for lighting the poetry writing fire in me. He encouraged what became a lifelong passion for poetry and creative writing and in a way he was and is my poetry writing “hero”. One of the funny, eccentric quirks that I developed around this time (and which my husband still reminds me of) was wearing a special black hat upside down when I was writing poetry. It seemed to work and I did it for many years! I love the way your poems can be strange and slightly surreal in part but always lay anchors down in an acute realness. What are some key things for you when you write a poem? What is this poem trying really trying to tell me? What is the ‘right’ point of view for this poem? Your latest collection, There’s a Medical Name for This, contains a number of poems that astonished me. Not often I say this! In my review I suggested it wasn’t just a handful of poems that did so, and that it was ‘not in a flaming extravagant way, but in ways that are at more of an alluring whisper. These poems are imbued with little droplets of incident, image, tension.’ Is there a book that has astonished you like this? Yes there is Anthony Doerr’s The Shell Collector which does just that every time I go back to it. It is a collection of short stories and I feel the characters are always waiting there on standby for me to re-enter their astonishing and enchanting world. All I have to do is to open the collection and read one of the stories and I am back in their world discovering new things I had never even noticed before. It’s wonderful! Characters are important in these poems. I see them as an amalgam of invention and autobiography and yet more than that. They are shoes to be filled. What did you want the characters to do in the poems? Where did you draw them from? I believe characters are central to the success of a poem. I keep reminding myself that they want to be heard but their role is always to show, to hint, to suggest, even to foreshadow but never to “tell” – and sometimes I forget that – to my peril! Often the characters in my poems are drawn from my past, people I knew many years ago who remain alive in my imagination. Sometimes my characters come from people I have read about; sometimes from figures in history (often obscure people whose lives interest and intrigue me). I often write in restaurants and I hear fascinating snippets of conversations that soon pop into one of my poems. I also often meet the most interesting characters in places like MacDonald’s; I’m amazed at the variety of people who come in and the meetings they have there. There are some fascinating characters that I just can’t wait to slip into my poems. They always get changed in the poems of course with different overlays of imagination but the original characters are so interesting. I finished my review with these words: To read these poems is to be a pilgrim – tasting the sweet and sour bite of the land, feeling the lure of travel and elsewhere, entering the space between here and there that is utterly mysterious, facing a terrific moment of epiphany. Would you agree that this is poetry of movement and that movement highlights both light and dark? I am so pleased you picked up on the pilgrim motif in many of my poems. I want the reader in my poems to be like a pilgrim, journeying through light and darkness ending up in some curious way like the Godwit in one of my poems, in the place where they originally began their journey but all the richer in experiences from the pilgrimage. Subject matter is eclectic in this collection (ponies, illness, birds, snow, familial relations). Are there motifs and topics you find yourself returning to, again and again? I like to steal from myself both lines and motifs and even topics. Themes like injustice and war are important to me. I also find myself returning again and again to the sea, the stars and to the horse. I particularly loved the earthquake poem at the start of the book. How have the earthquakes affected your life as a writer, your process of writing? The Christchurch earthquakes were a frightening time for all of us who went through them. They never seemed to stop; one after shock after another. It made me feel so impermanent and I found myself driven for a time to write with great urgency, almost as if every moment was a last chance. What do you want readers to take away from these new poems? Sometimes I would like to know why someone walks into a bookshop, picks up my book and reads it. What are they looking for and what do they find when they read my poems? For me, I would like my readers to take away images and lines from my poems that creep into their minds and suddenly emerge when they least expect it. I would like the images and lines they take from my poems to make important connections with their own lives. Do you have filters at work as you write? A need to conceal for the sake of the poem and for the sake of self? With me poems generally spring from an initial “trigger” that gets the creative process going. As I write I begin to fictionalise situations very early on and “flashes of truth” emerge in the poem. Sometimes, as I write, I reverse situations so that they are the opposite of what might initially have triggered the poem. I suppose in a way these are all filters that are at work when I am writing. Some of the filters are consciously applied; others are perhaps more instinctive. Do you think it makes a difference when the pen is held by a woman? Men and women often see things differently and no doubt their writing expresses this, but in writing, the differences between men and women in my experience are less significant to writing than the differences that arise from our own unique individual experiences of life. I gave you a glowing review of your latest book. How do you manage reviews that aren’t so positive (if you have ever had any!)? Sometimes I think my poetry is perhaps a little unconventional both in the things I write about and my style of writing. I’m a little difficult to pin down and categorise as a writer – perhaps I’m a little eccentric! So it doesn’t entirely surprise me if a reader or critic finds my poetry a little unusual. Generally however reviewers have been very kind to me and that has been very reassuring. You have taught Creative Writing at a number of age levels. What rewards do you reap from this experience? I love teaching creative writing and have taught all levels from young children through to adults. Some of my happiest writing experiences have been with young children; we can all be a little crazy and creative together and I find their freshness and freedom with words so exciting. They enter new worlds so easily and with so much trust in a way that only children can do. I agree! What irks you in poetry? Sometimes I read poetry that doesn’t seem to be saying anything. It is almost as if it has been written to a formula; it has no inner passion or feeling. Sometimes I also see poems that are too obviously modelled on someone else’s writing – they don’t feel authentic. I like images in a poem that move, grow and develop as you read further into the poem developing greater layers of meaning and resonance and constantly delighting you as you uncover greater and lovelier insights. Sometimes there are lines in a poem that stand out for you and which you come back to over and over again; they resonate in your mind and you find yourself repeatedly quoting the lines to yourself. It reminds you again of the power of poetry to open the door to a rich inner life where things are different. What poets have mattered to you over the past year? Some may have mattered as a reader and others may have been crucial in your development as a writer. I keep coming back to poets like Bill Manhire, Bernadette Hall, Frankie McMillan, Vincent O’Sullivan, Sarah-Jane Barnett, Jenny Bornholdt and Siobhan Harvey. We have a lot of very good poets in New Zealand and many of them like the ones I have mentioned are so encouraging and supportive. Without them I would never have grown as a poet. Over the last year I have especially enjoyed new collections from Caoilinn Hughes, Marty Smith and Chris Tse. What about poets from elsewhere? Any other reading areas that matter to you? I like reading about creative writing and how other writers go about writing poetry. I find it fascinating reading about their daily work routines, how they overcome “writing block”, what they think about the world of creative writing — in fact anything that gives me insights into the “secrets of the dark arts” of writing good poetry. I have found Kevin Brophy’s Creative Writing and Richard Hugo’s Triggering Town two of the best books around and I keep coming back to them. I must admit I regularly break most of the rules! I don’t use capital letters and rarely use formal punctuation. However there are some “rules” I still abide by. I am careful with words that end in “-ing”. I rarely use “but”. I am vigilant about line lengths and line breaks. I still believe that the purpose of a poem is to “show” not “tell”. Much to everyone else’s frustration I have no interest whatsoever in social media and I don’t use technology unless I really have to. I continue to handwrite my poems with sharpened pencils and writing journals! I’m happily married to my best friend and critic and we do a lot together. My four grown-up children and their lives and challenges are a huge part of my life. And of course my creative writing students bring joy and interest to each day. I always take Bill Manhire’s Selected Poems when I’m travelling or waiting somewhere. They keep me inspired and wanting to be a creative writer. This entry was posted in NZ poetry, NZ poetry, NZ poetry book, NZ Poets, Poetry and tagged Kerrin P Sharpe, NZ poet interview, NZ poetry interview on September 1, 2015 by Paula Green. 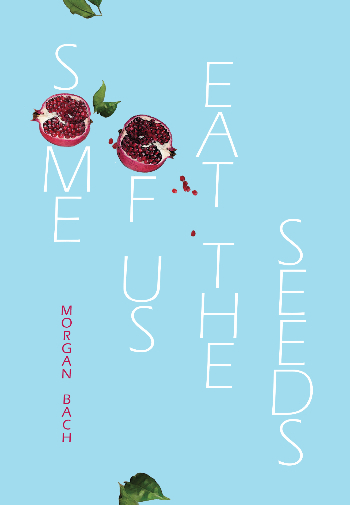 Morgan Bach’s debut poetry collection, Some of Us Eat the Seeds, is to be launched today by Victoria University Press at Unity Books (details here). A graduate of the IIML MA in Creative Writing Programme, Morgan was awarded the Briggs Family Prize for Poetry. She currently lives in Wellington. To celebrate the arrival of this terrific new collection, Morgan agreed to be interviewed by Poetry Shelf. I suppose it must have… I think being a shy child (because of living in the wops when I was very small) who kind of watched everyone set me up as both a bit of an outsider and definitely an observer. I suspect I came across as a bit of a creep! I certainly didn’t really meet any other kids I actually felt a proper kinship with until I met my friend who’s an amazing writer… That seems more significant than ever now. I remember reading a book called Mr Rabbit and the Lovely Present (which Sendak had illustrated I believe, but I can’t remember who the author was… Charlotte someone I want to say), and finding it made me sad for a reason I couldn’t understand, and I think now it might have just been the tone of the whole thing, the miniature story that almost worked like a simple narrative poem, with an undercurrent of sadness and isolation that (now I think of it) would have resonated with me. Of course, it was a child’s picture book and I was about 3… but I suppose I found that story cathartic in a way and so I’m therefore assuming words were important to me early on. I remember singing a lot as a child, and it always being more about the words for me. I did write, but not with any great purpose. Or rather, everything I started (outside of school) got abandoned pretty quickly. There are some hilarious bits and pieces though that have survived in family archives and prove me to have been a cynical and doomy child. I always read a lot, all sorts, mostly fiction though in the first couple of decades of life. Oh heck, I can’t remember now… So many over the years it all just kind of layers up as compost on the brain – turn it over and you can’t distinguish the origins of the matter anymore. I love the way your poems have anchors in the real world (such sumptuous detail) but are unafraid to negotiate things less physical (states of mind, philosophical ideas). In other words, your poems take root in the world you inhabit and that includes inchoate worlds within the mind. They are inventive, suggestive, intelligent, at times puzzling (I like that!). What are some key things for you when you write a poem? Thank you! I think that’s right – or at least that’s a balance I hope to strike. I wonder if that approach comes from how active my dream life can be. Sometimes it almost dominates with its use of my energy – waking up can be relaxing. I think the key thing for me finding my way into a poem is that it’s not something I can force. It has almost never yet worked when I’ve tried to force it – I imagine most writers feel the same? I think that’s why I seem (to this point in time) to be incapable of writing to traditional form. The results are fit only for burning. What I have realised over the process of writing this book is that I actually don’t write a lot on paper… most of it seems to happen in my head. But once it’s on paper not that much gets thrown away… the survival rate of poems is pretty high so far! I’m sure that will change over time. But yeah, currently I find it takes a phrase or idea to kind of catch in my head (like getting a song stuck) and then weaving my way out from that point. I say weaving as it’s then a process of tying the more ephemeral aspects to the concrete world. That’s my preferred space I guess. Your debut collection, Some of Us Eat the Seeds, struck several intoxicating chords with me. I stalled in the first section, with the evocative family poems catching me at every turn. What are the pitfalls and the benefits of drawing family, familial relations, into poems? Pitfalls – I’m already worried that some of the family will think I’m talking about them when I’m not. I’m a little worried they’ll think I’m claiming things they’ve experienced differently with too much authority. But the thing is, you can’t think about that or you’re censoring from the brain and that’s crippling. And as I’ve said to my mother – the poems they’re in aren’t actually about them, or if they are, they’re about my memory of them… they’re inevitably about me. Benefits – It’s just that they’re the people that populated my world back then… I’m not sure why I wrote about it. I didn’t set out to write poems about family or familial relations but it worked out that way anyway… I’m kind of hoping I’m done with it though. I prefer (or am more comfortable with) the poems in that section that aren’t about my family. In a poem that took me back to games of spotlight, ‘Night in the forest,’ the power of the dark for a child with a torch, on and then off, became the power of the dark for a poet for me. Would you agree there are ways in which your poetry nudges the dark (dread, for example)? Yeah definitely – and nudging is the right word, in that it’s both rubbing up against and gently testing. I adore this quote from Rebecca Solnit (the essayist) on Woolf (who I also love): ‘It’s the job of writers and explorers to see more, to travel light when it comes to preconception, to go into the dark with their eyes open.’ I feel like that’s a motto to live and write by. Going back to the notion of poetic strands (physical, thematic, abstract for example), I loved the way ‘thought’ bravely makes itself visible in lines and phrases. (‘The past is a tether/ you don’t need to wear’). Do you think poems can be enhanced by ideas flickering on their hems? The final section of poems brings to life states of mind of the adult (love, desire, discovery, betrayal, heartache, recognition). What difference does it make when you write the adult as opposed to writing the child? Yes, a different implication of self than the smudgy thing a child navigates. Are there filters at work? A need to conceal for the sake of the poem and for the sake of self? Heck yes. I’d say that seeming to reveal a great deal can be the best way to conceal what is most private. That said, most of my filters are for the sake of the poem. There are plenty of fictions or elaborations, which hopefully get to a more truthful truth. What do you want readers to take away from your debut collection? I can see those threads. You definitely fall upon nuggets of hope (light). You have studied Creative Writing at IIML at Victoria University. What key things did you take from this experience? That reading and critiquing other people’s work is often the best way to work out what you need to do to your own work. That it’s a hell of a lot of work to write a book in that short span of time, but it’s so very worth giving yourself the opportunity to do it if you can. I loved the MA year at the IIML. It was the kind of experience I’d hankered after for so long and such a rare opportunity to just focus on reading and writing with a bunch of people who are as nerdy about it as you are. I wish I could do it again, really. You acknowledge a writing group in your endnotes. How does this nourish your writing? I’ve been in a few writing groups since doing the MA. One with my MA class… though we’re currently flagging! Come on guys! My most productive one of late is with a bunch of damn fine and interesting Wellington poets at various career ‘stages’ or perhaps spaces is a better word, and with different kinds of poetry goals. It’s exciting to see their new work in early and sometimes quite raw form, and to be spurred on to write for our little deadlines. Also the camaraderie – I think that’s important. Abstraction that isn’t tied to anything concrete, too much of a cerebral remove, or if it’s so academic as to be exclusive of almost everyone. Word play for the sake of sound alone – I understand that it has merit but I just can’t take it myself – you know what I mean, that stuff that is a bit like a toddler practicing with their tongue and vocal cords but is just essentially human white noise. I guess that’s my wanting a brain-stare again. Oh I never know how to answer these questions, partly because there are too many and partly because ‘favourites’ lists feel too intimate/revealing to me. I know that’s weird… I’d rather tell you my full medical history or something. HA! There are so many NZ poets that I love – I still read more NZ poetry than stuff from overseas. I’d basically just list everyone. I will say that I am so excited about Joan Fleming’s forthcoming collection, if her recent poems are anything to go by. We have a few in Issue 2 of Sweet Mammalian and they are so good. I love how she has these little turns in some of her poems, a really interesting movement, and lines that just kind of kick you in the guts. Can’t wait. I stand by my many previous claims that Ashleigh Young is the most interesting writer (poetry included) of our generation. I, like a lot of people, am hankering after another collection from her. I’d like to shout out to what my Sweet Mammalian co-eds do too, Hannah Mettner and Sugar Magnolia Wilson, who are both wonderful clever and gutsy poets (though very different) and are constantly blowing me away with their delicious brains. Yes, all of them… Who does not love a good essay? And nothing is more transporting than a novel that’s so good you forget to get up from your seat for hours even to eat. Also music – I mean good lyrics. I can’t listen to music unless I like the lyrics. It’s a totally different craft than poetry of course but it’s still important to me for the brain-compost. Everything is layered – language, interaction, assigned meaning, just actual life – and so should a poem be. I just made those up now, but I reckon they’ve been in there, unspoken. I think travel is the main one for me. It’s always been my default day dreaming space. I suppose it puts me into that outsider/observer role and also just bombards the senses with the new. I’ve been craving it so much… I’ve been waiting to get the book out before heading off again, for an as yet undecided ‘while’. I’m hoping somewhere along the way I’ll find my way into whatever the next project is. Just one? Too hard… I’ll stare out the window being indecisive instead. My review of Some of Us Eat the Seeds. This entry was posted in NZ poetry, NZ poetry book, NZ poetry event, NZ Poets and tagged Morgan Bach, NZ poetry interview, VUP on July 16, 2015 by Paula Green.